Respected WA fruit and vegetable wholesaler, Cedric Smith, has been awarded the 2009 Meritorious Service Award by the Australian Chamber of Fruit and Vegetable Industries at a Gala Dinner at the Crown Towers in Melbourne. His horticultural career began in 1945, growing cauliflowers with his father, before owning and operating several fruit and vegetable retail stores for 14 years. He then established his successful wholesale business, Smith Enterprises, that has operated for 32 years. The Meritorious Service Award acknowledges his commitment to the good of the total horticultural industry, his regular attendance and contribution at conferences organised by the state and federal chambers, his liaison with Government in order to advance the horticultural industry and his proven business success. Mr Smith, for example, was a driving force behind the founding of WA’s Industry Development Committee, encouraging and supporting them in their goals, which included the successful re-introduction of the Market City Ball and the commencement of the highly successful WA Retailer of the Year Awards. 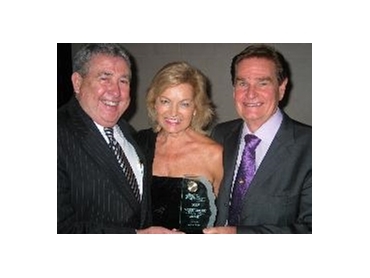 A strong advocate of the FPAA credit service, he was one of the first wholesalers to sign up and is a founding director of the FPAA Pty Ltd.
A strong believer in central markets, he actively promotes them, ensuring their best interests are always represented. Chamber of Fruit and Vegetable Industries in WA (CFVIWA) Chief Executive Officer Robert McFerran congratulated Mr Smith on his lifetime achievement, industry contribution and latest recognition. “Cedric has actively participated in WA Chamber activities for more than 30 years, contributing in a range of ways, but always with the big picture in mind,” Mr McFerran said. Mr Smith was CFVIWA President from 1987-1991 and 2004-2006 and also served 10 years on executive. During his first term as President, he represented the wholesalers in the relocation of the Markets from Wellington Street, Perth, to Canning Vale, now known as Market City. He also served a three year term on the Perth Market Authority Board as wholesaler representative. “Cedric’s dedication and enthusiasm have won him the deserved respect and admiration of many at Market City and within the wider fruit and vegetable industry,” Mr McFerran said. CFVIWA represents 25 fresh produce wholesalers and other associated members at Market City, Canning Vale, where more than $370 million worth of fresh produce was traded in 2007/2008.